In May we were named as the Second Respondent in a law suit initiated by Mamphela Ramphele. She claimed she had not given permission for the re-release of her autobiography, a project being lead by New Africa Books, the First Respondent. We had been working with NAB to get the autobiography, A Life, onto Paperight, and Nick Mulgrew (Paperight’s in-house designer), had designed a spiffing new cover to replace the old one. Originally, A Life had been published by David Phillip publishers in 1995, and DP was later acquired by New Africa Books. Ramphele claimed that NAB did not have the right to re-release her autobiography, and thus that Paperight had no right to distribute it. When NAB signed up with Paperight they signed our publishers agreement which includes a clause in which the publisher warrants that they are the owner of, or are authorised to license, all of the content they give to Paperight, and indemnifying Paperight from any third party claims arising from a breach of this warranty. So we were covered, but it was certainly disturbing to get served. I was able to digest the legal documents we received and liaise with our lawyer to assist with the drawing up of an affidavit. Thankfully, NAB and Ramphele settled the matter out of court fairly quickly and amicably, and we agreed to remove the book from the site. It was a big wake up call to us all. Aim: Develop contacts and build team expertise by sending content manager to one of the worlds’ main publishing trade fairs. Tarryn-Anne Anderson and Oscar Masinyana attended the 2013 London Book Fair with the mandate of developing publisher relationships and approaching publishers about obtaining their content for sale via Paperight. Additionally, they were to pitch Paperight as part of the Digital Minds Innovation Showcase at the Digital Minds Conference on the day before the fair. On Sunday the 14th of April, Tarryn gave a presentation on Paperight, developed by her and Oscar, at the Digital Minds Innovation Showcase. The showcase formed part of the Digital Minds Conference, annually held before the London Book Fair, and attended by industry leaders in digital publishing. 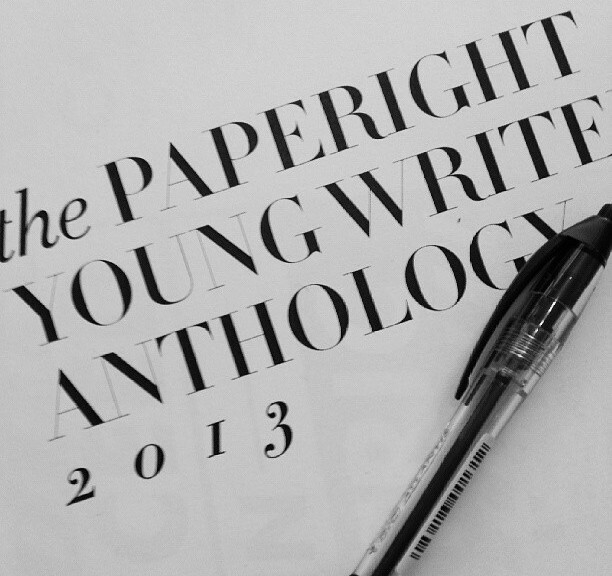 Paperight was expected to offer a 4-minute pitch, against seven other innovative start-ups in digital publishing. We were selected as the winner of the showcase by popular vote. We sent our content manager Tarryn to the London Book Fair to represent Paperight, develop contacts, and learn from being at one of the primary publishing trade fairs in the world. Tarryn represented Paperight in the Digital Minds Innovation Competition and we were awarded first place . As a result of achieving this award, Paperight has achieved great press. Relationships were started and built with publishers, media and related business. Meetings and discussions were achieved with the following companies: Valobox, Aleph Trade and Investment, Midas PR, IDEA, The American Book Centre, Mobcast, Elsevier, Profile Books, Harvard University Press, Metro/SelfmadeHero, Higher Education, NECE & SAF Schools Manager, MM Publiscations, Carroll and Brown Publishers, Polity Press, Pluto Press, Bloomsbury, Pearson, Harlequin, Do Sustainability, O’Reilly Media, Benetech, Accent Press, Excite Books, Sweet Cherry Publishing, MEA, PUO Educational Products, My Little Big Town and Ingram Content Group. Tarryn not only achieved her objectives, she won Paperight a prestigious Innovation award. After: Tarryn engaged with more publishers than she had done at the previous book fair, with many of the publishers instantly expressing and interest to come on board with Paperight. Tarryn also showed a tremendous amount of strength in presenting on behalf of Paperight at the Digital Minds Innovation competition. Twitter feeds were streaming in with people who were impressed with her pitch, and after the event she was met by a number of people who were interested in finding out more. We have no doubt that sending Tarryn to the book fair was great value for money and would definately do the same in the future. After: Within the first four weeks after the London Book Fair 30 publishers have signed up with Paperight. After: We have had one or two international publishers registering with Paperight. Arranging the accommodation as close to the trade fair as possible frees up more time for valuable meetings. There are still misconceptions in the industry as to what Paperight is all about. Having the opportunity to discuss Paperight and answer concerns in person assisted in reassuring publishers and creating more engaging partnerships. We have no doubt after the success we have achieved from these trips that It has been very worthwhile to send Tarryn to attend these Book Fairs. Contacts were made which enabled us to sign up publishers that we were not able to sign up before, and at a quicker rate than we did without the meetings. We created a greater awareness in the publishing industry both in South Africa and overseas. The meetings at the book fairs have assisted in creating a valuable trust relationship in the industry while maximising visibility in a short time frame. We would not hesitate to send Tarryn to more trade fairs. We are approaching the Department of Trade and Industry in South Africa to see if we can obtain a grant to send either Tarryn or Oscar to the Frankfurt Book Fair. On the 7th May 2013 16h22 an attorney arrived at our office with a stack of papers giving us notice that Mamphela Ramphele intended to take a case up against New Africa Books (PTY) Ltd (First Respondent) and Paperight (PTY) Ltd (Second Respondent). The notice prevented us from doing any act that related to the book authored by Mamphela Ramphele and entitled Mamphela Ramphele: A Life, including producing, publishing and distributing the book. We were ordered as the second respondent to remove all copies and references to this book from our website and our outlets within 10 days of receiving this order. We were also notified that we would be liable as respondents to pay the costs of the application and possible further or alternative relief. This came as quite a shock to us as we were given permission to add this book to our website as New Africa Books was the title owner. We got in touch with New Africa Books to find out what had taken place. There was quite a complex story involved where there was some confusion about who was the current title owner, New Africa Books or Mamphela Ramphele. We took the book off of our website and drafted an affidavit which was sent through to our lawyer to explain what took place. The case against us was dropped as we had not infringed any copyright agreement. Paperight acts as a distribution service for Rightsholders by allowing printing businesses to licence and legally print out books and other paper documents from its website. Rightsholders register on the Paperight website and provide Paperight with content that they would like distributed through the Paperight network. Rightsholders charge a licence fee through the Paperight website to printing businesses to allow them to legally print out copies of documents. Paperight ordinarily takes 20% of each licence fee earned by a rightsholder through the Paperight website. Rightsholders are required to agree to Paperight’s Rightsholder Agreement – or negotiate and sign a separate legal contract if the Rightsholder objects to any of the terms of the regular Agreement – when they sign up with the Paperight service. New Africa Books (Pty) Ltd signed up with Paperight on 25 February 2013, and agreed to the standard Paperight Rightsholder Agreement in doing so. Paperight was supplied with an original print copy of Mamphela Ramphele – A Life by New Africa Books (Pty) Ltd thereafter, as the latter was seeking to republish the book under its David Philip Publishers imprint. The copy of Mamphela Ramphele – A Life supplied to Paperight from New Africa Books (Pty) Ltd was published by David Philip Publishers in 1995. 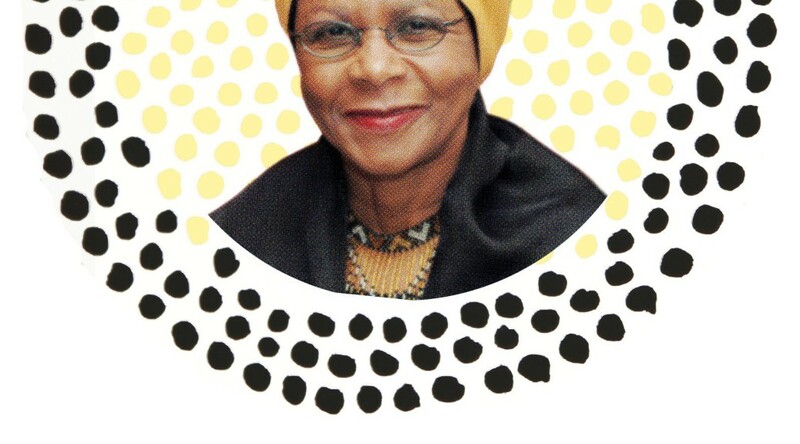 Paperight digitised and uploaded Mamphela Ramphele – A Life onto the Paperight system on 17 April 2013. Paperight released a press release, jointly with New Africa Books (Pty) Ltd, promoting the latter’s re-printing and “re-release” of Mamphela Ramphele – A Life and its distribution through bookstores and the Paperight network. 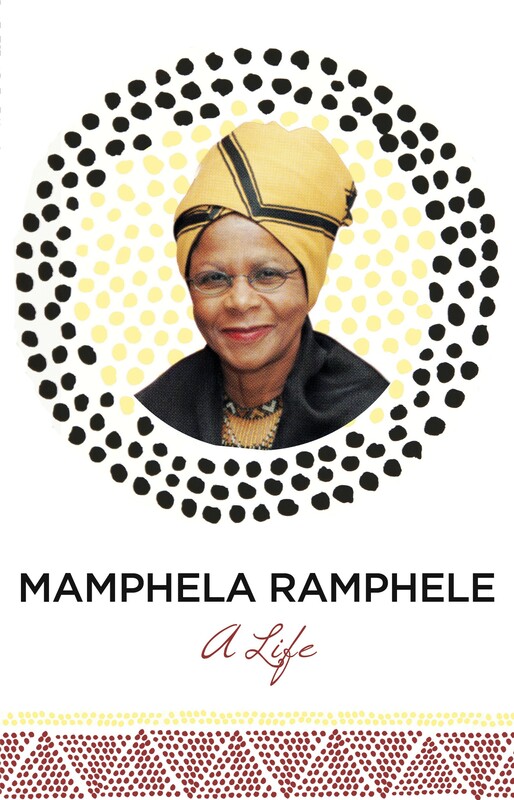 On 7 May 2013, Paperight was notified of a motion relating to copyright infringement of Mamphela Ramphele on behalf of New Africa Books (Pty) Ltd and Paperight, relating to the reprinting of Mamphela Ramphele – A Life. As per Paperight’s Rightsholder Agreement, which New Africa Books (Pty) Ltd agreed to when they signed up to the Paperight service, “the Rightsholder warrants that it is the owner of, or is authorized to licence, the rights to all content provided to Paperight”. The agreement further states that content provided by a Rightsholder “does not infringe on anyone else’s intellectual property or other rights”. The Rightsholder Agreement states that “The Rightsholder will defend, indemnify and hold harmless Paperight […] against any third-party claims arising from a breach of this warranty”. The onus of the legality of the content provided to and distributed by Paperight is therefore on the Rightsholder, in this case, New Africa Books (Pty) Ltd.
Paperight, therefore, cannot be held responsible for any infringement on Mamphela Ramphele’s copyright by New Africa Books. After being served with the notice, Mamphela Ramphele – A Life was taken off of the Paperight system at the discretion of Paperight’s employees. From 17 April 2013 to 7 May 2013, New Africa Books (Pty) Ltd did not sell any copies of Mamphela Ramphele – A Life through the Paperight network. 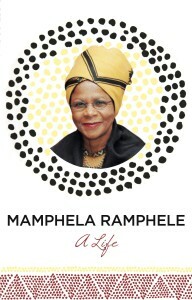 As such, Paperight has earned no money or royalties from New Africa Books (Pty) Ltd’s distribution of Mamphela Ramphele – A Life.